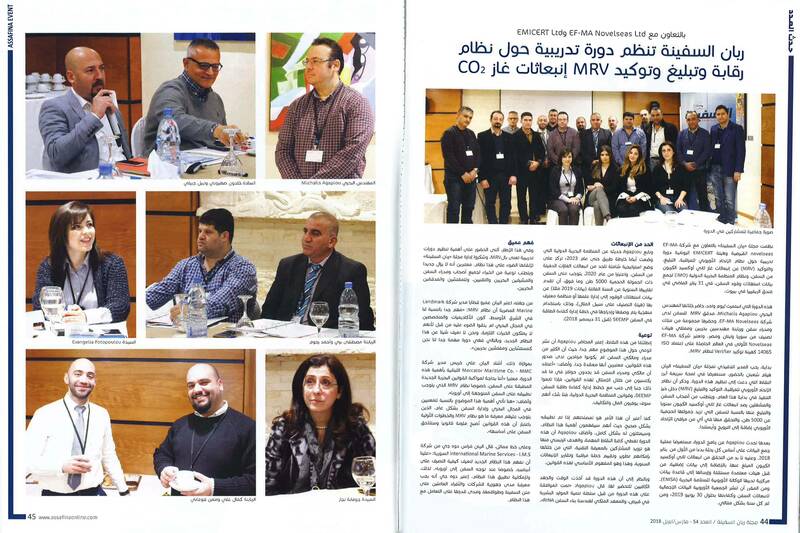 EMICERT Ltd, EF-MA Novelseas Ltd and Robban Assafina Magazine co-organized the “EU Shipping CO2 Emissions MRV Regulations & IMO Fuel Consumption Data Collection System Training Course”, which was held on 31 January 2018 at Riviera Hotel, Beirut, Lebanon. Several Maritime Professionals attended the course and had the chance to be informed on both the Monitoring & Reporting process as well as on the Verification process. Robban Assafina Magazine presented on its issue 54 relevant article and photos from the Training Course.